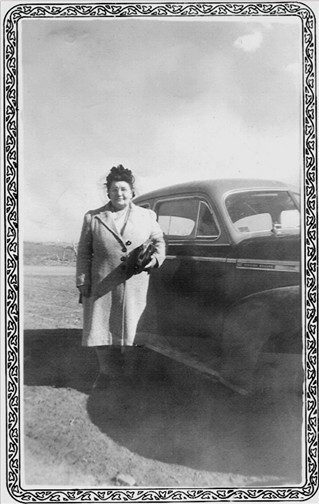 Following is my understanding of the fascinating life of Iva Hazel Henry Conard Delaney Doyle. As I've been told, Iva Hazel (Mom) Henry married her first husband, Jessie Frank Conard (Erick's Dad's Father), after she'd had a child (Noni) out of wedlock by another man. As I was told, she was given a ride home from school by a family friend; he was a married man and a barber. Rather than taking Hazel home, the man raped her and she became pregnant. Even though she did nothing to encourage the barber's attention and fought back as hard as she could, her parents blamed her for being raped and treated her poorly once they found out she'd been raped. They were even more unkind when they realized she was pregnant. When she fell in love with Jesse Frank Conard, and he loved her back in kind, she felt her and her young daughter Noni's lives had made a wonderful change for the best. 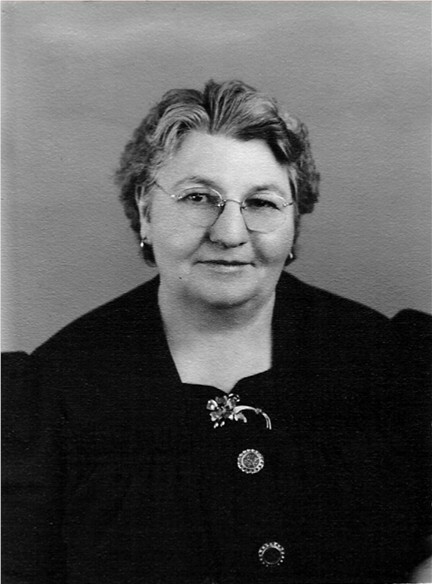 However, her husband, Jesse Frank Conard, lost everything because of the Great Depression and began drinking heavily, so Hazel's hopes for a great life were lost. She had a large family she had to take care of with little help from her drunk, absent, cheating husband. She worked long hours as a cook, happy that they allowed her to bring home the old grease, which she used to make bisquits and gravy for her family. Bisquits and gravy or beans were her family's two most common meals. They were very poor... and placed a high value on good upstanding behavior. 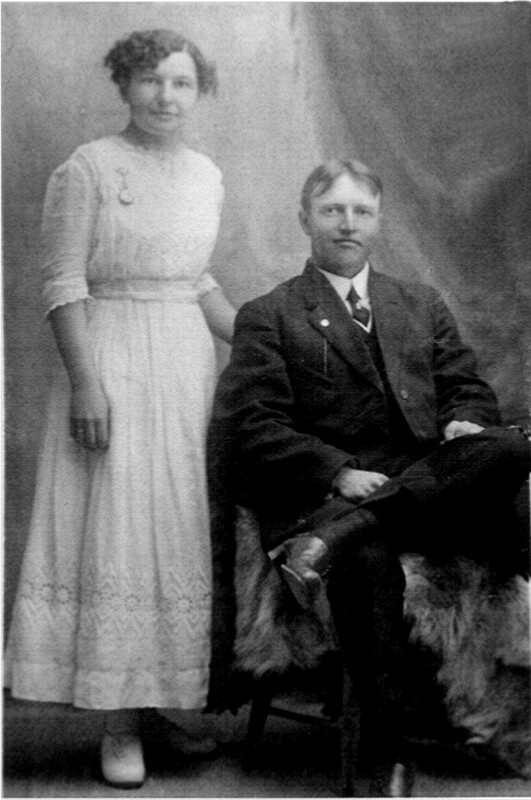 Below is Iva Hazel Henry Conard standing with Jessie Frank Conard sitting. Some years after her divorce with Jesse Frank Conard and toward the end of the Great Depression, Hazel married Mr. Delaney. He was an older gentleman whose first wife had died. A few years after they married, Mr. Delaney died, leaving Hazel enough money and property to allow her to have a very comfortable life. 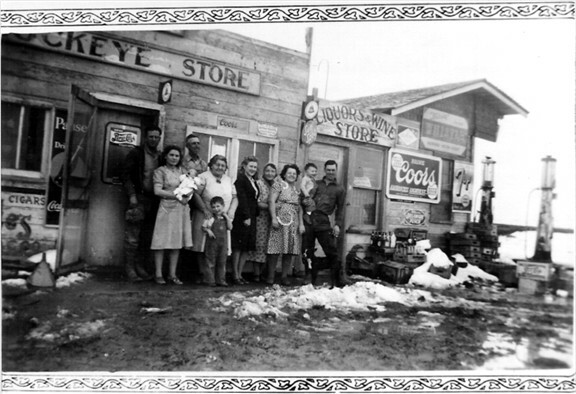 With the money Mr. Delaney left, she was smart enough to buy property, including the Buckeye Store in Lycan, Colorado (called Buckeye, Colorado by those who lived in the area). Lycan was only an intersection of two roads with Buckeye Store on the southwest corner and a one room school house on the northwest corner of the intersection. 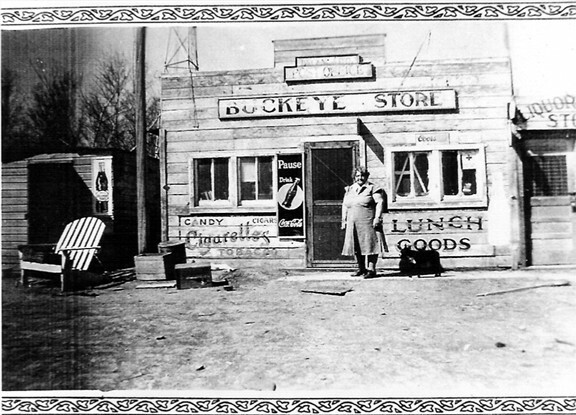 The post office was located inside Buckeye store and she sold gas, food, clothing, and sundries. She also sold a wide variety of candies and chocolates, which she loved and began eating in large quantities. 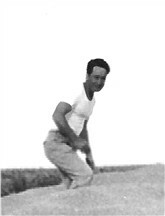 While he was married to Hazel (Mom), Eddie (alias "Bob Doyle") was having an affair with Mary Juanita Conard Goodman Doyle (Eddie Robinson's alias). Juanita is my father's sister and was living in Mom's (Hazel's) basement prior to and at the time of her death. There has been speculation that Mom's untimely death may not have been natural, as a very large amount of money was inherited by Eddie (alias "Bob Doyle") after her death. Eddie (alias "Bob Doyle") married Juanita Mary Conard Goodman (Merle Goodman) not long after the funeral.